Breastfeeding twins is doable, but it can be tough. That’s why twin nursing pillows are invaluable investments. You’ll be spending a lot of time and energy nursing, and it’s important that you and your babies are supported well. The type of twin nursing pillow you prefer as a new mum might not be the same as other twin mums. Some prefer to nurse with firm pillows, whereas others prefer pillows that conform better to the body. However, there is a few key features that’s good to look for in any twin nursing pillow. Your pillow needs to have good back support. It’s important to avoid that you develop painful issues with your neck, shoulder and back. You’ll be nursing for many hours a day, and you need to sit or lie comfortably. This will enhance your chances of early breastfeeding success. Think durability and usability. The cover needs to be machine washable so you can get rid of milk or spit-up stains. Look at the possibilities of adjusting the pillow depending on your height, the length of your torso and the size of your stomach. Some women may benefit from buying a smaller pillow that they can place under their twin nursing pillow to get the right height. Your pillow needs to be safe. You need to be sure that your babies are supported well, so they don’t roll off. Also make sure that the pillow is made of materials that passes all safety regulations. 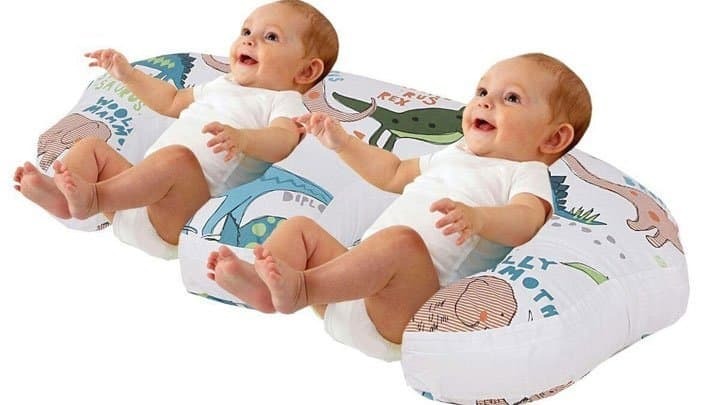 In recent years several new twin nursing pillows have been developed. This means that you have several different brands and designs to choose from. We’ve done our best to help guide you, so you’re able to choose the twin nursing pillow that suits you best. Most of the pillows are developed by parents of twins and as such have many things in common. However, they also have a few key features that distinguish them. 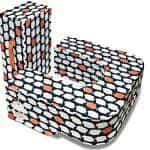 Have a look at our twin nursing pillows review, and choose the pillow that you believe will fit you and your lifestyle best. 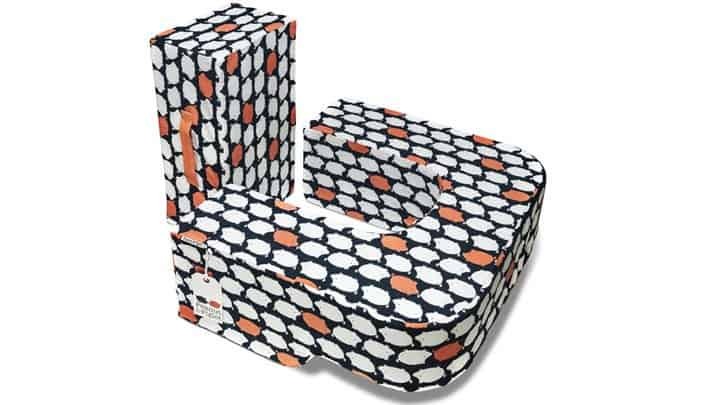 We’ve chosen 4 twin nursing pillows between $39 and $119. Some of the companies who’ve designed the pillows are based in the U.S., others in the UK. In the review we focus on testing features in relation to ergonomics, durability and versatility. We also recognize that finding the perfect pillow is often a matter of preference. That’s why we’ve chosen to indicate how firm, adjustable and versatile the pillow is – then you can decide whether you want a firm or a soft pillow, and whether you want to use it for more than nursing. The Piglet Twin Breastfeeding Pillow is made by Peanut & Piglet, a company from the UK. and a cushion that works as back support for mum. outer legs are used for the twins. 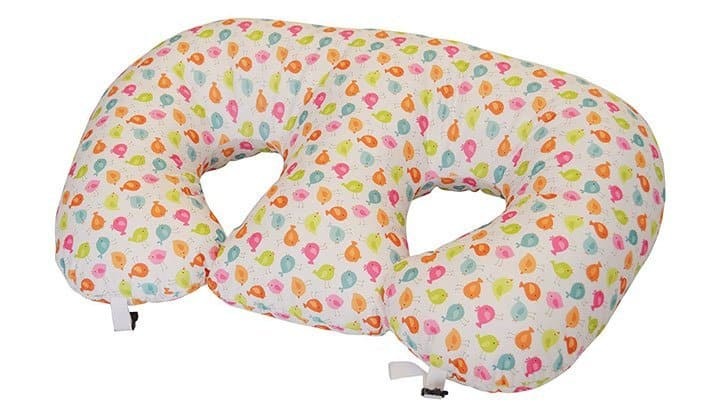 The San Diego Bebe Twin Eco Nursing Pillow is made by an american twin mum. 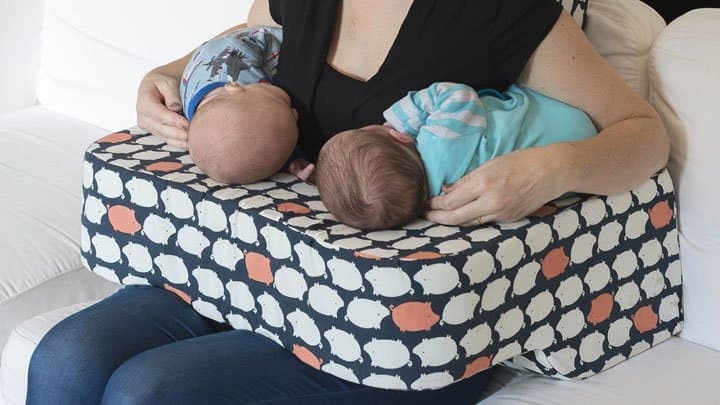 The twin nursing pillow consists of two parts – a detachable back pillow, and an angled cushion for the babies to lie on. 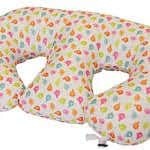 The Love2Sleep Twin Feeding / Nursing Pillow is made by Love2Sleep and is manufactured in their own family run factory in the UK. 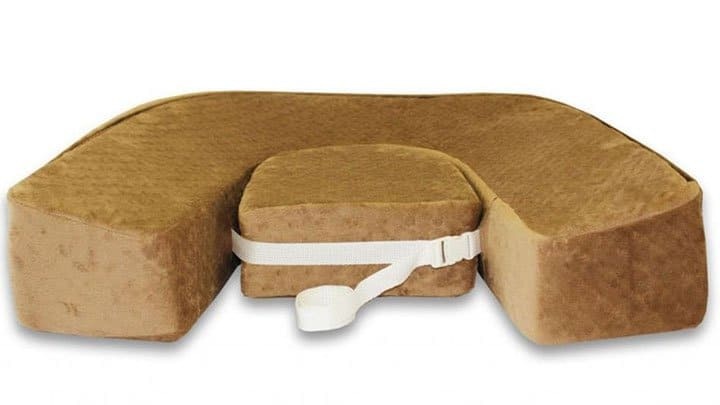 The twin nursing pillow is one pillow with three separate legs. The middle leg is used for back support for mum and the outer legs are used for the twins.